In this one day class students will be shown how to create kaleidoscope blocks using one fabric using a four pattern repeat. No block is alike. Think of this quilt as a mystery quilt. You have no idea how it will look until you have sewn all your blocks and laid them out. Watch your blocks spin. 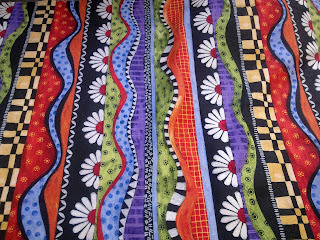 Every block has three different individual looks that you can choose from before it is sewn. Thread: Thread to blend with purchased fabrics for piecing. Fabric: Make sure the fabric you purchase is in one continuous piece. Fat quarters and off cuts will not work. In my experience the smaller the print designs the more likely that each repeat may not be precise. Look for a medium to large print with a variety of colour or depth of colour with interesting shapes. Make sure you love it. Avoid: lots of straight lines, lots of circles and blank spaces. Check that there is the correct number of pattern repeats when buying your fabric. take your measuring tape. Most patterns are repeated approximately 24” or 12”. If 12” you will require approx 1.3 meters (I recommend 1.5m). Double this quantity for a larger size quilts i.e. approx 3 metres. 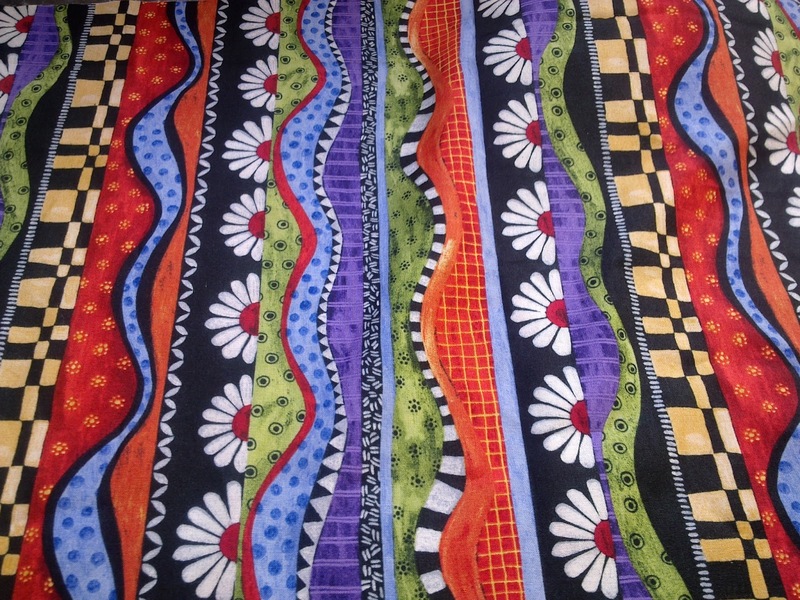 I’ve started to purchase an additional metre for each kaleidoscope quilt I make and sew it into my backing fabric of the quilt as a reminder of what the original fabric looked like.